I am a big fan of the movie Apollo 13. The NASA mission at the heart of that film was called a successful failure because they didn’t get to the moon, but the astronauts returned home alive. I want to tell you the story of my own successful failure. It’s not quite as epic, but very relevant to anyone doing business online. Over the past week I have been watching the excellent training videos released by Jeff Walker as part of his latest Product Launch Formula promotion. 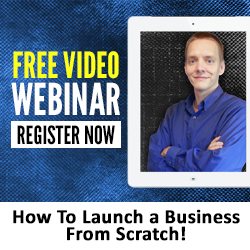 The second video of the series discusses the process of using what Jeff calls a ‘seed launch’ to start a new business and then build off those results with 2 more launches that expand your business quickly in the market. Watching these videos got me thinking about the first product I launched in my own career and how that launch was both a success and a failure for me. Before I go into the details, let me explain what a seed launch is all about. 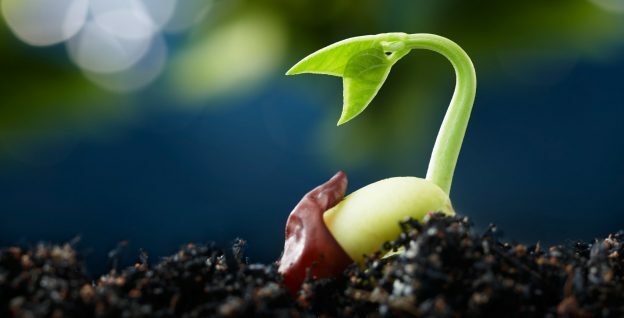 As Jeff Walker teaches it, a seed launch is how you start a business with no product and a very small list of prospective customers. First, using personal contacts, social media, forums, and other relevant resources, you build a small list of targeted email subscribers. You tell that list about your plans to sell a training course that will be delivered over several weeks through teleconferences or webinars. Then, you set the dates, promote the training program to your new list and sell it. The initial customers are surveyed when they sign up and asked what their top 3 questions are regarding the topic of the new course. Since the content of each teleseminar/webinar is fluid up until the actual presentation, you can modify your outline for the presentation to incorporate the questions your customers submit. As you conduct the presentations for your course, you record everything and survey your customers after each one and ask what questions they had related to the previous presentation and their most pressing questions about the material to be covered in the next one. At the end of all the scheduled sessions there is usually a bonus session that covers those questions that didn’t get addressed in the main sessions and allows a live question and answer period to address anything else that was not already covered. The recordings from all these sessions are then transcribed and edited to form the foundation of the product you launch next. Thanks to the highly collaborative nature of the process, your product should cover the material your marketplace is most interested in learning. $3,339.76 In Sales is a Success, Right? My own seed launch made a large (by my standards) chunk of cash for me very quickly – $3,339.76 to be exact. In that regard, it was a big success. Before I talk about why I also consider it a failure, let’s look at what happened. Even though I reached the objectives that Jeff Walker talks about in his seed launch training, I took a slightly different path to do so. 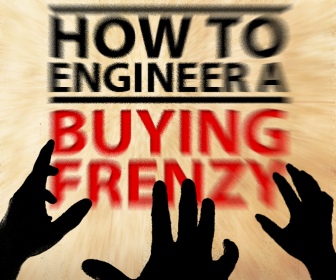 I hadn’t become a Product Launch Formula Student yet, so I was making things up as I went along. Instead of building a starter email list, my initial product was targeted to fellow members of a private marketing forum in which I was very active. Many of us were regularly building niche websites and discussing the process on the forum. Thanks to these forum discussions, I knew what people were trying to accomplish, why they were doing it, and the problems they were struggling with. The system I developed was my way of optimizing the process we were all following. I shared many of the things I was doing with the group and they asked detailed questions in response. When the time came to create my product, it made sense to create screen capture videos of the process. This allowed people to see exactly what I was doing and saved everybody a lot of time because I could edit out the wait times while files uploaded and software refreshed. A live training would have been tedious. I created an overview video that explained the process I would be demonstrating and why I had chosen to do things that way. This video was finished and available when I first offered the product for sale to the members of that private forum. Instead of positioning the product as a multi-week course, I called it a work-in-progress and let the early subscribers in at a big discount. If I had done my seed launch the way Jeff Walker recommends in the Product Launch Formula training I probably could have charged more for the initial product. Calling it a work-in-progress makes it feel like a risky investment. But signing up for a multi-week class does not. Because the product was launched on the forum, there was a natural path to interaction with my new students. They could leave comments on the thread where the product was being sold. People who were deciding whether to purchase could also ask questions which helped identify important content to cover in the upcoming videos. I had created a simple membership site for my students to access the content. So, as I finished each video, I posted it to the website and made an update to the forum thread announcing the new video. This created a fresh wave of comments, questions, and testimonials. Some folks with detailed questions would send me private messages and I went to work on the next video. As I neared completion of the final video, I raised the price of the course and did one last sales push to the private forum. When the final video was completed and the website was polished up a little, I partnered with the forum owner to do a joint venture (JV) promotion to his email list. I created a salespage for the course and he did a single mailing to his email list. We split the income 50/50 and that was the first promotion of the full course. After the JV promotion, I did a more public roll out of the course in the special offers area of a larger public marketing forum. I raised the price again and used the testimonials I had gotten from my early students in the sales letter. This second promotion was another big success and by the time it ended I had made $3,339.76 in sales starting with no money and using free trial versions of the software I needed to make the product. Initial sales revenue was used to pay for domain registration fees for the website and listing fees in the later promotions for this launch. You may be wondering how a new product launch for a product that required nothing but a little time to create and generated $3,339.76 in revenue could be called a failure. The reason is because I failed to leverage the launch into a viable business. I missed the BIG opportunity. The logical next steps for this product were to add some killer bonuses, polish up the sales letter, create a lead capture system for the landing page, raise the price, recruit some affiliates, and sell a whole lot more. I had momentum on my side and nobody had created a competing product yet. After the big product launch I could have developed automation software, pre-built niche site templates, consulting services, and a host of other related products. That was, in fact, my plan for the Rapid Website Development product. But it didn’t happen. By the time my family finally settled into our new apartment and I had time to focus on business again, the opportunity had passed. WordPress released a major update to the software which radically changed the look of the user interface. In one shot, all my videos were out of date and would need to be re-created. Other people began releasing WordPress training videos and plugins that would make the process of replicating a website much simpler. I made a conscious choice not to try and catch up. I probably could have squeezed some more revenue out of Rapid Website Development, but decided to move on. I failed to maximize profits from that initial product, but that was not my biggest failure. My biggest failure of all was not nurturing a relationship with the list of customers I had built up during the launch. If I had worked to become their trusted adviser for WordPress, I would have been able to sell many other products to them as an affiliate and earned additional income while helping them accomplish their goals. Success in a rocket launch isn’t measured by whether or not you get your payload off the ground. Success is measured by whether or not your payload reaches orbit. Sustaining a business generating ongoing revenue is the product launch equivalent of reaching orbit. My seed launch got my product off the launch pad, but I never achieved orbit. Long term I only managed a short burst of income and had to start nearly from scratch for my next product. That distinction is one of the significant differences I see between Jeff Walker’s Product Launch Formula Training and the many other product launch training materials I’ve studied. Most people focus entirely on how to get that initial burst of sales. Getting off the launch pad is the most resource intensive part of a launch. By comparison, it takes very little energy to stay in orbit once you get there. Jeff Walker makes sure you don’t get trapped in a feast and famine cycle by leveraging your launch process into an ongoing business. The launch is a means to an end and not the end itself. I have studied the training courses of many of the biggest gurus of Internet marketing. One day I decided to share everything I learned with a select group of people. I hosted a special webinar that broke down all the major guru selling systems and explained the sales psychology behind them. The whole thing was recorded. 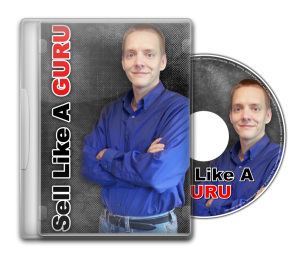 Now you can learn how to Sell Like a GURU too!